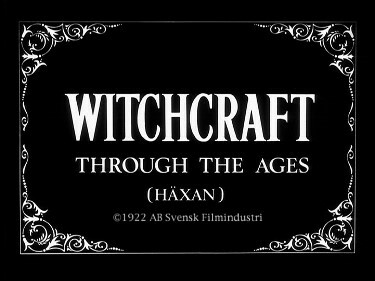 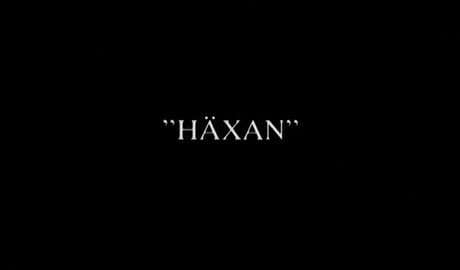 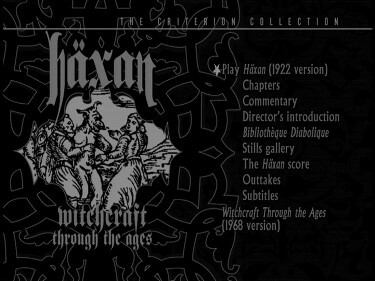 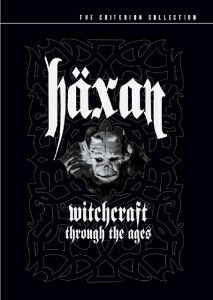 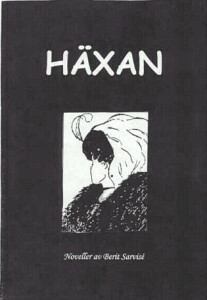 The Swedish Film Institute’s restoration of Häxan began with the creation of a fine-grain master made from the original camera negative. 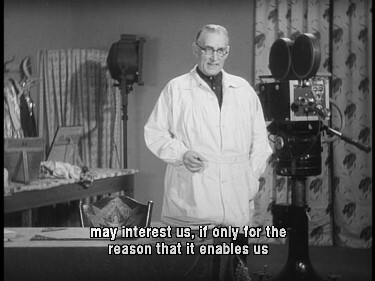 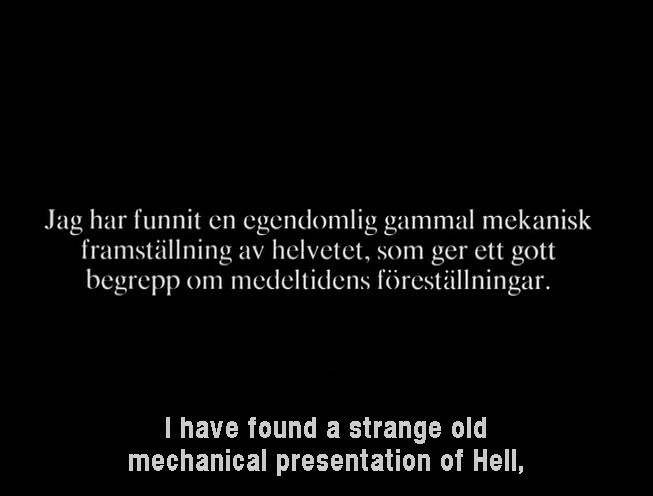 The intertitles, most of which had been lost, were replaced with new film titles. 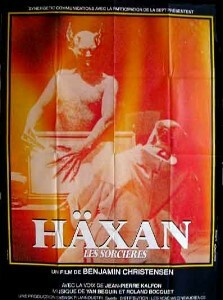 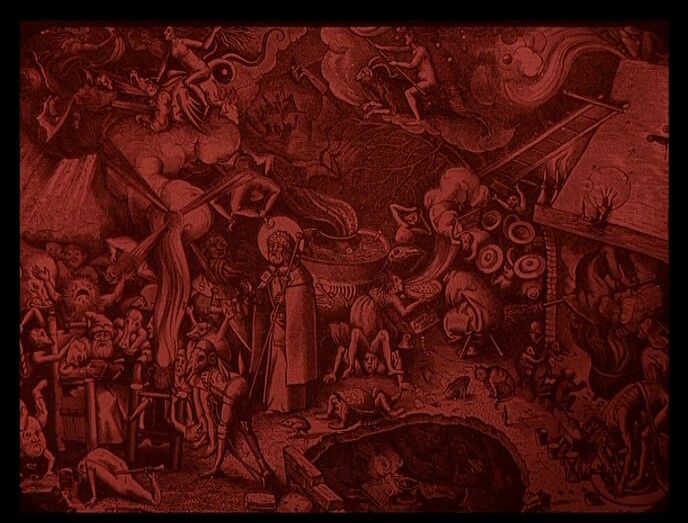 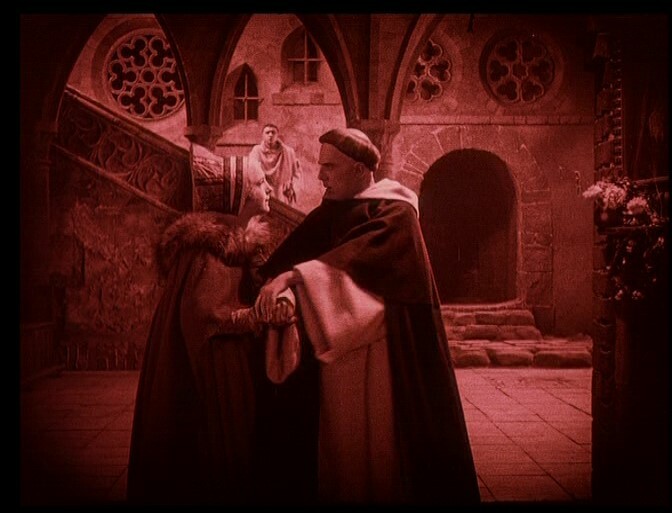 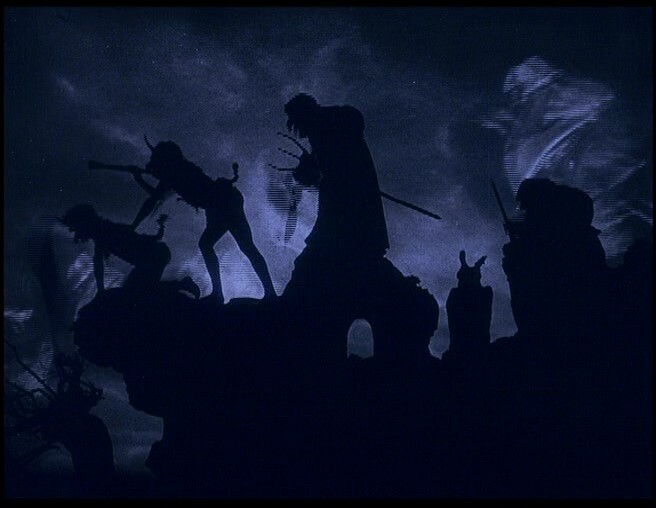 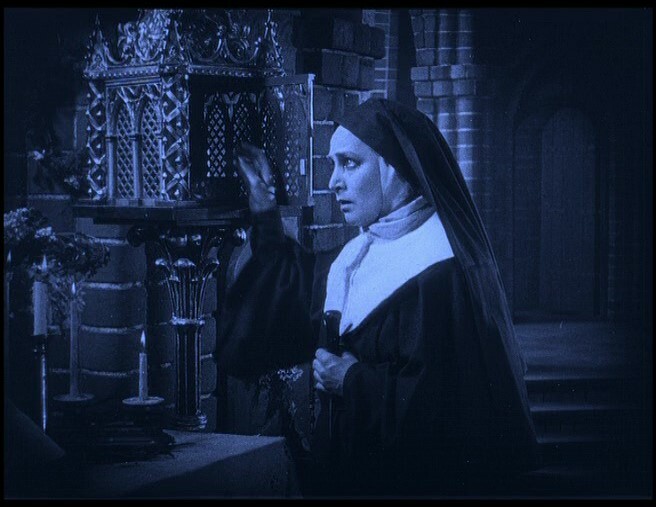 Then, the SFI recreated the tinting that had originally been present in theatrical prints of Häxan, bringing this version much closer to what audiences might have seen at the time of its original release. 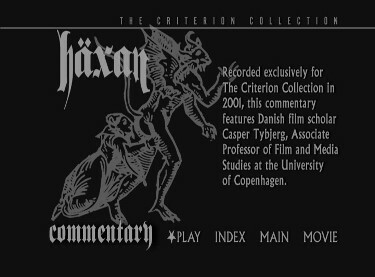 Criterion's new digital transfer was made from a 35mm low-contrast print, at the Swedish Film Institute’s recommended speed of 20 frames per second. 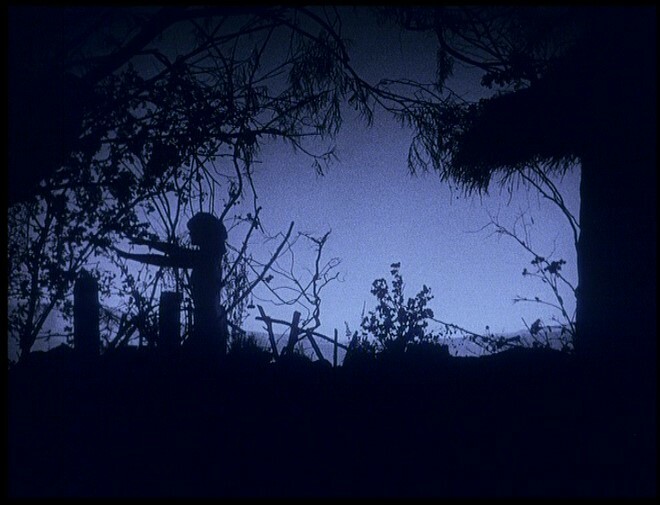 During shots of rapid motion, there is a “tracer” effect; this is present in the original film image. 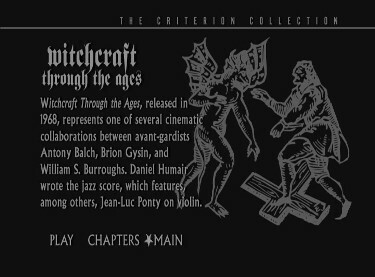 If not for this knowledge I would have said that this was the first non HD-sourced Criterion DVD I had ever seen, but the "combing" that I saw is the 'tracer' effect due to the frame speed noted above.